Make and Share: How D’Arcy Got Involved – D'Arcy L. Hutchings, MLIS, Future M.Ed. For this Make and Share, I decided to make a cartoon depicting the catalyst for my becoming involved in supporting Bernie Sanders’ campaign and the Alaska Democratic Party. I downloaded the Toontastic iPad app at the end of my digital storytelling class last semester and took this opportunity to play around with it. I found it easier to use than other tools I have tried. It has a wide variety of scenes and characters. You can change the colors on any part of a character but you cannot change the characters’ facial expressions. There are limited options for arranging a characters hands and feed when stationary. 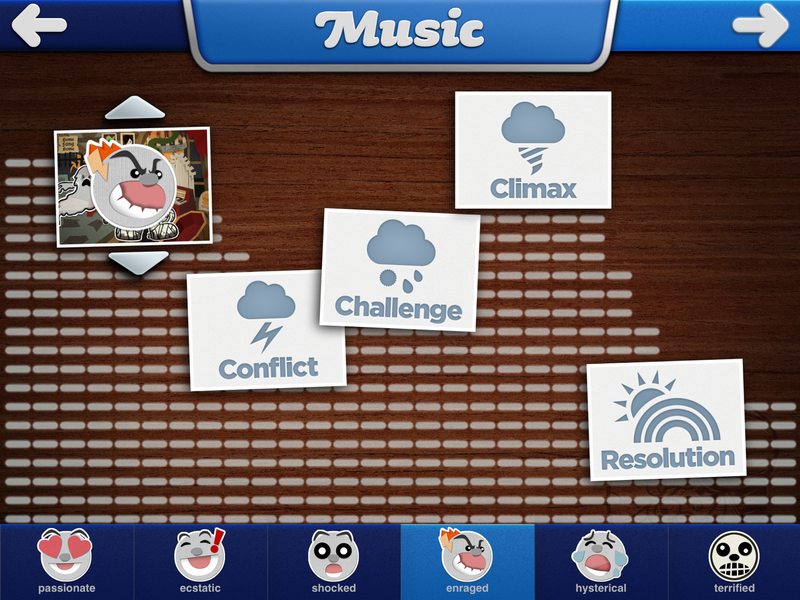 The app guides you through creating a story using the story arc and lets you pick music according to the mood you are going for in the scene (including intensity of that mood). When you play it within the app, it has an adorable intro and outro. I was sad to see that they cut this out when you save the video to your photo roll, the only option for exporting the video. I definitely would recommend this app to anyone wanting to create cute cartoons, especially kids. This Toontastic video is so engaging to watch. I like how you included a Colonel Sanders looking cartoon to – I assume- represent Bernie and a older grey haired lady to -I assume again- represent Hilary. Quite funny. I love how it tells an important and very serious story about democracy being restricted due to poor planning but still making it fun and entertaining to watch. Have you ever used this App with students? How did you pick the music because it fit perfectly? How long did it take to create this? I have not used this with students, in part because I don’t have an opportunity to do so given my position. I absolutely would, though. It seems to be most appropriate for for elementary ages (from my perspective as an educator of adults) but it is fun and approachable enough that it could be used by any age group. As for the music, the app has tracks built in. It is a bit limiting –but in many ways, it’s nice not to be overloaded with options. They way you choose the music is really neat and not something I’ve seen before. I’ve included screen shots so you can see what I am about to describe. 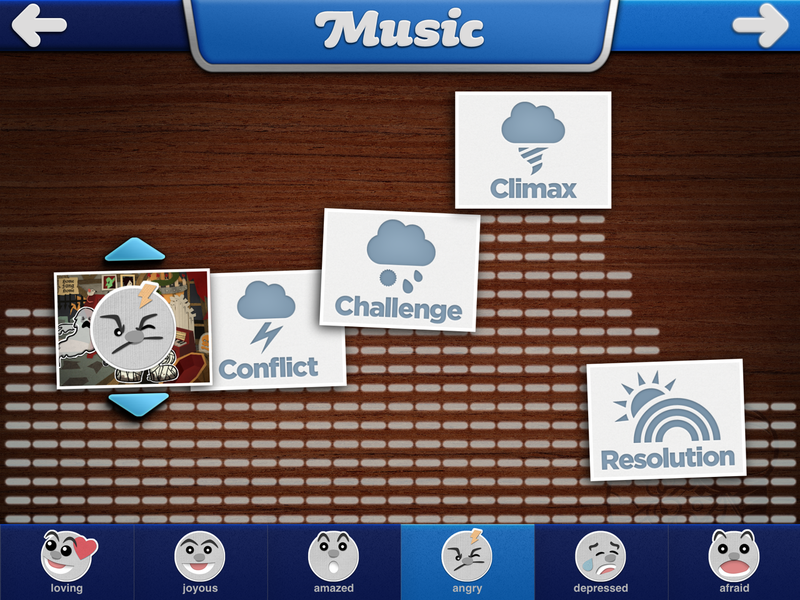 For each scene, you select a mood and intensity. The “frustrated” mood becomes angry and then enraged as I slide the frame/scene up. Nervous becomes afraid and then terrified. 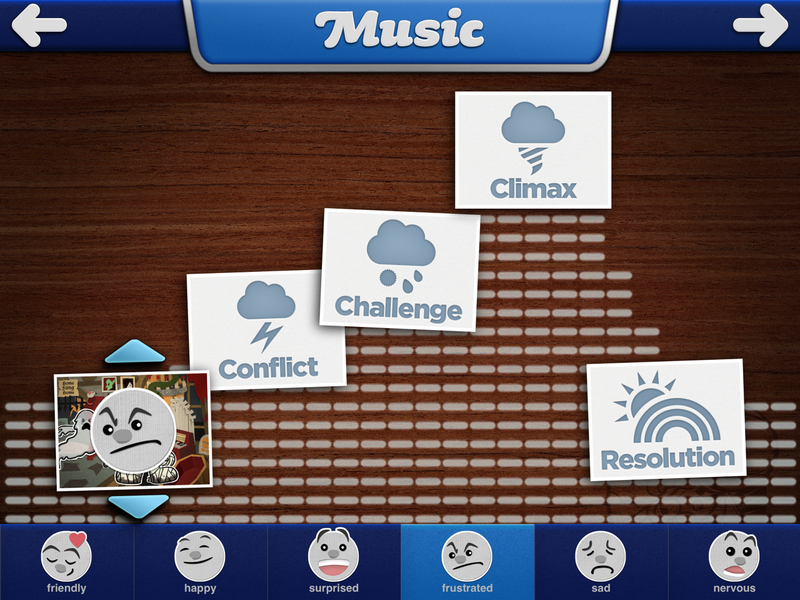 Each mood/intensity has one corresponding track that conveys that mood/intensity for a total of 18 available tracks. Instead of having to listen through a bunch of tracks, you just identify the mood of the scene. This way of doing it may also help students understand music in terms of setting instead of what just sounds cool and think of what mood their scene conveys. p.s. The likenesses to the candidates is purely coincidental! I want to say I spent about an hour making my video.